An oak cabinet Traveling Crane completely restored by James Roller to it’s 1930’s vintage. 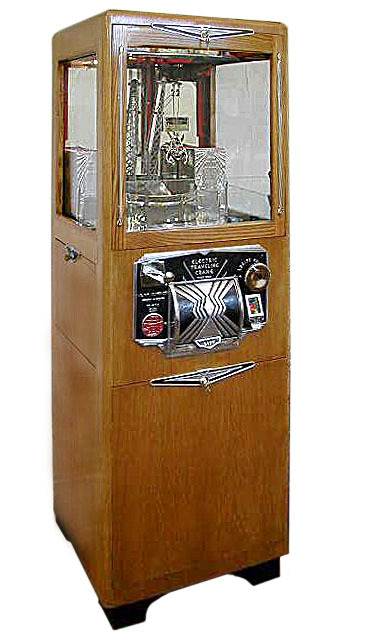 This elegant example has the candy vendor mechanism in the right hand silo which feeds small mints or candies into the glass front door on the front face casting, below the hand wheel. This beautiful piece of Deco Era art is now located in the home of a private collector.